Compared to smaller plows, our professional plows feature a more rugged construction and automatic positioning via remote control, allowing you to change your plow's angle from the warmth and comfort of your cab. 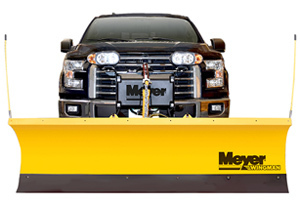 Our professional plows are the real deal: if you outfit your truck with one of these bad boys, there isn't a winter storm that'll keep you from clearing powder. If you have plowing aspirations that extend beyond your driveway and immediate neighborhood, you'll want to peruse our selection of professional plows. After all, snow days are great when you're a kid but the world can't just stop because there's snow on the ground. 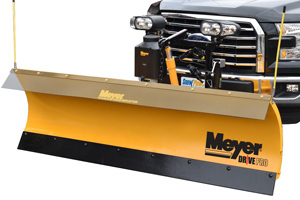 Equipping your truck with one of our professional plows means that no matter what winter throws at you, you can clear a path through the powder with relative ease. 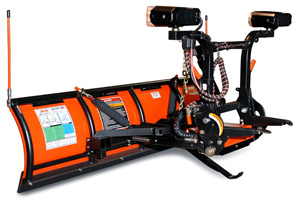 Our professional plows - much like everything else we sell - come with free shipping. If you're not sure what professional plow is right for your truck, don't hesitate to give us a call or message us on live chat: we're happy to answer any questions you have. We only deal with reliable plows from trusted name brands, and we put real-world customer review on every page. Our snow plow specialists are in every day to answer questions, help you place your order, and deal with anything and everything involved in the snow plowing process from shopping to shipping and beyond. If you plan to start a plow business or clear an entire neighborhood, Professional-grade is the way to go. Luckily, it will install easily on most beefy trucks and SUVs. Better still, at Snow Plows Direct all you have to do is punch in the year, make, and model of your vehicle to see nothing but the snow plows that are compatible. 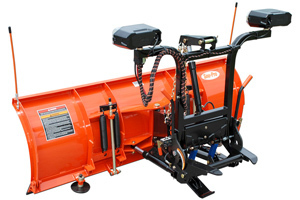 We only carry top grade professional snow plows that we've seen in action ourselves. That's because if we can't trust a brand ourselves, how could we sell it to you when we know your home, business, or municipality is on the line?